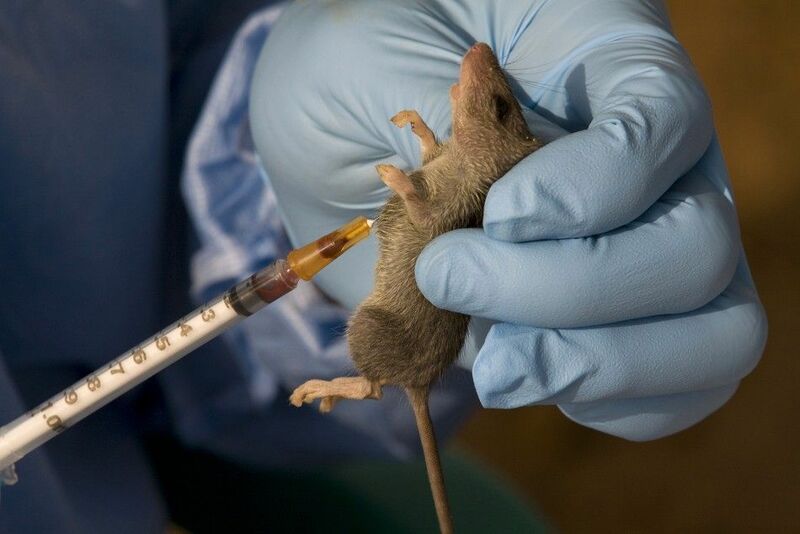 The Nigeria Centre For Disease Control (NCDC) declared on Tuesday an outbreak of Lassa Fever in eight states, the government responded by activating emergency response centers for Lassa fever cases across the country. The Director-General of the NCDC, Dr.Chikwe Ihekweazu, in a statement made available to Punch Newspaper, said there had been an increase in the number of Lassa fever cases reported across the country since the beginning of the year. As of January 13, 2019, a total of 60 confirmed cases have been reported in Edo, Ondo, Bauchi, FCT, Ebonyi, Nasarawa, Plateau and Taraba states. 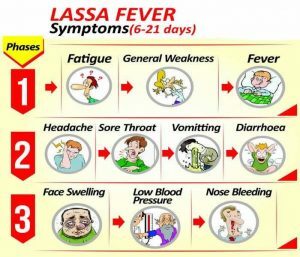 Given this increase in reported cases of Lassa fever, the Nigeria Centre for Disease Control has declared this an outbreak and activated an Emergency Operations Centre to coordinate the response. The NCDC advises members of the public to focus on prevention by practicing good personal hygiene and proper environmental sanitation. Effective measures include storing grain and other foodstuffs in rodent-proof containers, disposing of garbage far from the home, maintaining clean households, and other measures to discourage rodents from entering homes. Hand washing should be practiced frequently. The public is also advised to avoid bush burning, Ihekweazu said. Declaring an outbreak means the NCDC has activated an Emergency Operations Centre (EOC) to coordinate a response. The national EOC includes representatives from the World Health Organization (WHO), Federal Ministry of Agriculture and Rural Development, Federal Ministry of Environment, US Centers for Disease Control, as well as other partners. The centre said in preparation for this year’s emergency phase, the agency has been providing support to states including the provision of emergency supplies and deployment of Rapid Response Teams. Lassa virus (LASV) is an arenavirus that causes Lassa hemorrhagic fever, a type of viral hemorrhagic fever (VHF), in humans and other primates. The viral disease is contracted from the feces of the multimammate rat and often transmitted via human to human contact. It is endemic in West African countries, especially Sierra Leone, the Republic of Guinea, Nigeria, and Liberia, where the annual incidence of infection is between 300,000 and 500,000 cases, resulting in 5,000 deaths per year. 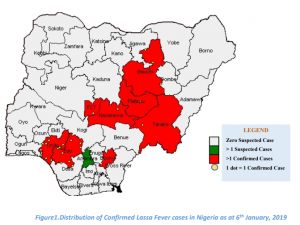 While Lassa can be deadly, it has a lower fatality rate than Ebola and as with Ebola, human-to-human transmission of Lassa fever can wreak havoc in hospitals and clinics. So far in this current outbreak at least 16 health care workers have been infected, and four have died. Symptoms. – The incubation period of Lassa fever ranges from 6–21days. The onset of the disease, when it is symptomatic, is usually gradual, starting with fever, general weakness, and malaise. After a few days, headache, sore throat, muscle pain, chest pain, nausea, vomiting, diarrhea, cough, and abdominal pain may follow. Stay safe and spread the word.